In our Conference call yesterday, we discussed the goals and strategies MeBO Research we have already initiated since this non-profit limited by guarantee company was registered in England on February 5, 2009. We also discussed plan we would like to undertake in the near and distant future. 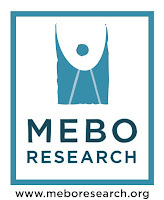 As mentioned before, it is the long-term goal of MeBO Research to become a charity in the UK and to establish an affiliated non-profit company/charity in the US as well to be better equipped to fund raise for larger research grants since then all donations would be tax deductible by the donor. The new business discussed in the call is the activities MeBo has been currently involved in to pursue research. We have sent ‘cold call’ emails to experts such as medical doctors, scientists, labs, and universities to introduce ourselves and to promote discussion on the various body odor conditions. All left feeling very hopeful and optimistic about the year ahead filled with great opportunities to intently pursue research into our body odor conditions.The topic of conversation of this three hour conference call was what should the group do to promote research. It is very difficult to answer this question because of the wide variety of symptoms experienced by members of our community. It is for this reason that Arun did his Body Odor Survey to which there was an overwhelming response of 98 participants. Arun is in the process of purchasing a database in connection to the forum he has also purchased for us for the next 10 years, to analyze all the data to determine the best research approach for each manifestation of this body odor condition. We discussed the variety of symptoms different sufferers experience from generalized body odor to halitosis, bromhidrosis/hyperhidrosis, vaginal odor, and foot odor. We also discussed how different members respond better to some diets than others, and what works for one may not necessarily works for other. Some benefit more from a low choline diet, while others from a lacto-ovo vegetarian diet, or vegan diet, while others from a non-dairy diet, or low carbohydrate and low sweet diet. There is no one fix for everyone. After much discussion that seemed to raise more questions than answers, we all left feeling very hopeful and optimistic about the year ahead filled with great opportunities to intently pursue our needs living with this condition, since we now have a new forum this community call home, and a new non-profit organization that we can hang our banner on as a united group, and with all the support and healing we have been extending each other in our conference calls and meet-ups.